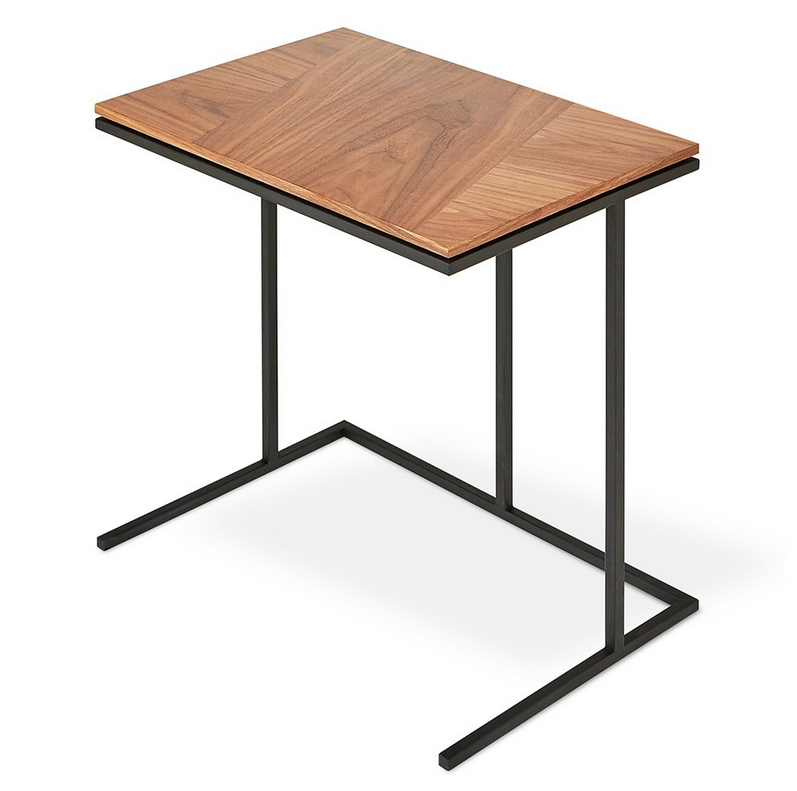 The Tobias Network Table is a minimalist, geometric accent piece well suited for modern live/work spaces. 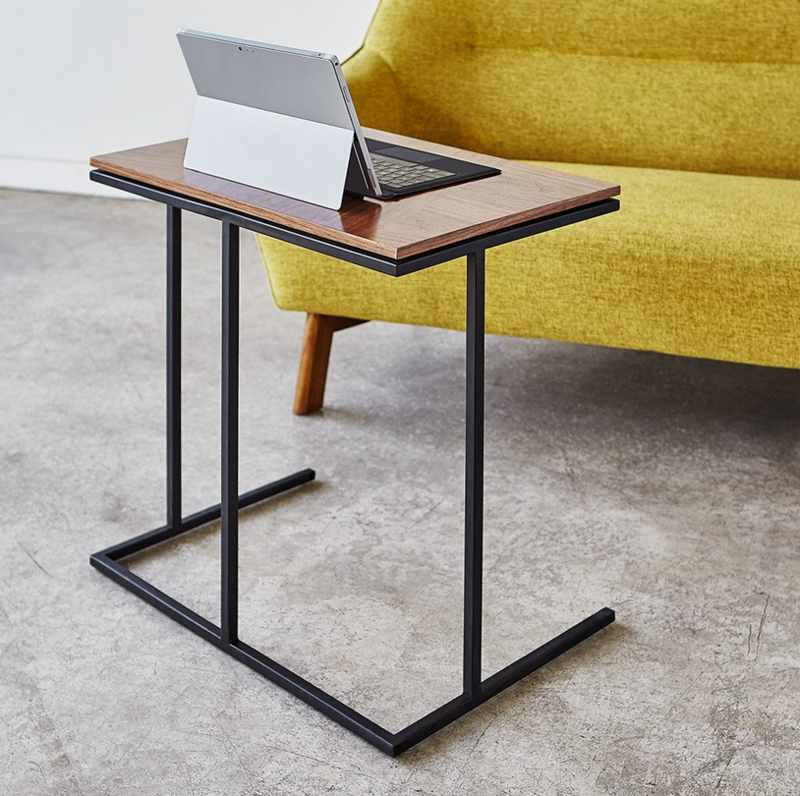 Designed to be just the right height when using a laptop or tablet from your sofa or accent chair, this table is a mobile work surface that easily transitions back into a modern accent piece when your work is done. 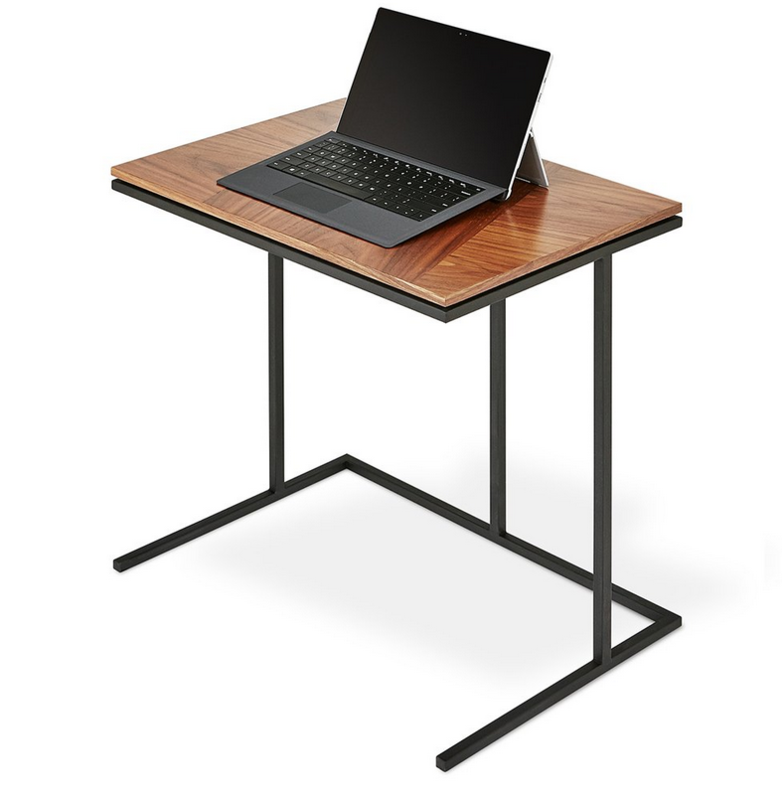 The rectangular top features a dynamic arrangement of walnut wood grain panels, which rest on a slim, solid steel base. A subtle reveal along the table edge creates the illusion of a floating top. Part of the Tobias Series, matching perfectly with the Tobias Square Coffee Table, Rectangle Coffee Table, End Table and Nesting Table. - Top is constructed with an engineered wood core for strength and stability. - Real-wood veneer top surface with water-based, clear coat finish. - Bench-made, solid steel base with durable, powder-coat finish.